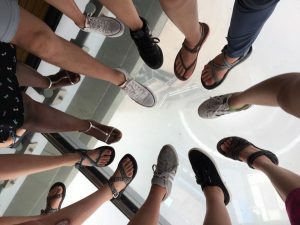 This is the ninth and final in a series of blog posts from Whitties studying on Whitman’s Crossroads: Shanghai, China: Second Language Acquisition in China and the USA program this summer with Professor Lydia McDermott. Annie Xue ’21 is Undecided. Many of my friends are confused when they found out that I am studying “abroad” in my hometown; after all, what’s the point of not being able to experience enough while others get to explore the city they completely do not know? 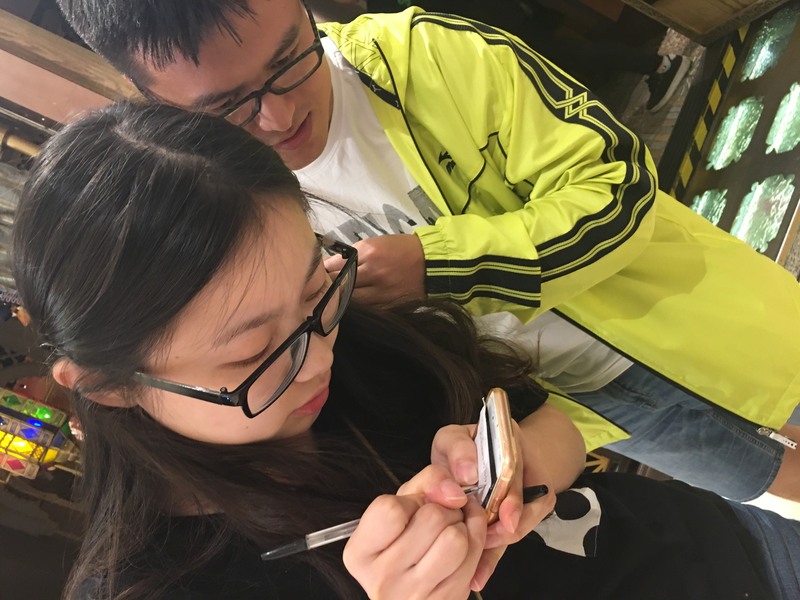 When I came back to Shanghai last year after high school graduation, I was so surprised to find out that everything can be paid for on phones and no one really used cash anymore. Even though I have been living in Shanghai for more than 17 years, considering that I was so used to a two-point life between school and home and I have been studying abroad for three years, I cannot say that I know Shanghai very well. I decided that it’s time to learn more about my city! Several Crossroads Whitties asked me the question that if I feel weird going to all those touristy places with them. Sometimes it is: when we went to watch the acrobatic show in the second week, the roads near the stadium were jammed by tourists buses. For the most time, however, it is fun and rewarding to observe the city and explore new places, not just live in the city with a fresh eye and from a different perspective. 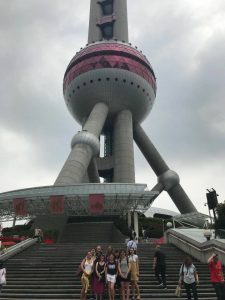 In the past week, it is actually my first time going to all the places that we went to: Oriental Pearl TV Tower, the French Concession, the Propaganda Museum and M20 Art District. 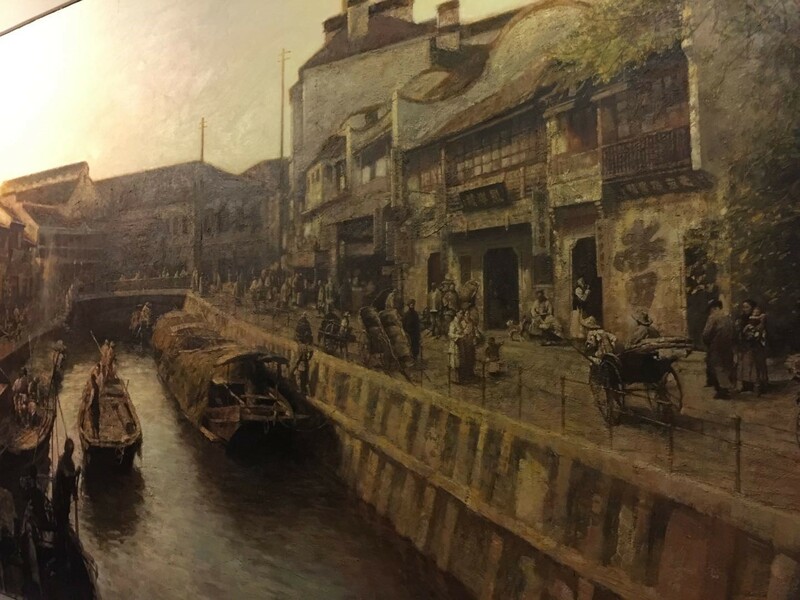 As a city colonized by eight countries in the late 19th century and the early 20th century, Shanghai is famous for different styles of architectures left by western colonizers in the area called the Bund. For example, the house in the last picture above is the former residence, in the French Concession, of Sun Yat-sen, the first provisional president and founding father of the Republic of China. 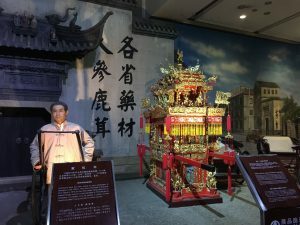 The visit to the History Museum of Shanghai in the Oriental Pearl TV Tower makes me realize how little I actually knew about the history of my hometown and how much more I still need to learn. 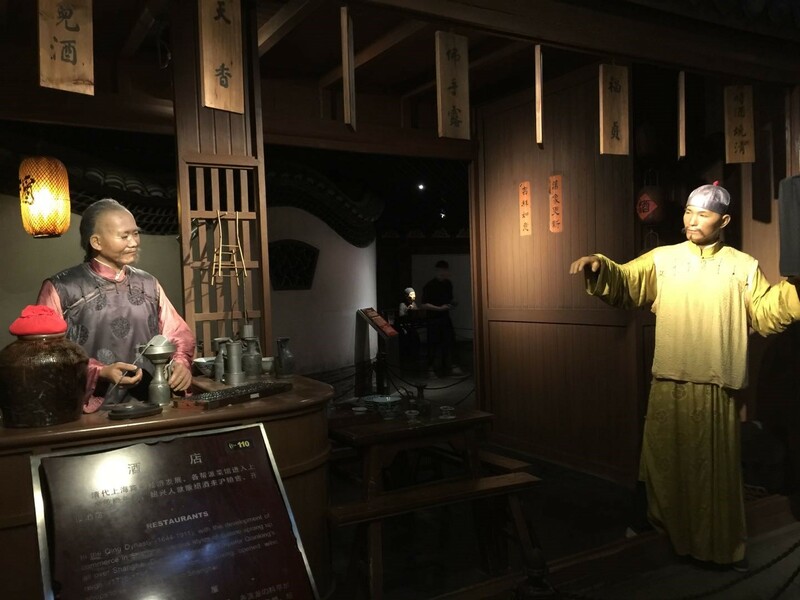 The museum mainly exhibits with wax sculptures changing living styles in Shanghai from mid 19th century to late 20th century. Those beautiful exhibitions and pictures all look familiar, but if l am asked to explain them in detail, I will not be able to do it on the top of my head. One of the places we went to last week that left me the deepest impression is the Propaganda Museum. It exhibits most of the Propaganda art works from the establishment of People’s Republic of China in 1949 to the end of the Cold Wat. (I don’t have any pictures, because it is not allowed to take pictures.) I did not feel comfortable the first moment I walked in. Except the introductions for each section, almost every note of each piece is in English and Spanish only; it is clear that foreign visitors are targeted. This is reasonable to some extent, but I think since it is essentially Chinese history, whether people want to face it or not, Chinese people like me should be more aware of and reflect on that particular period of history. 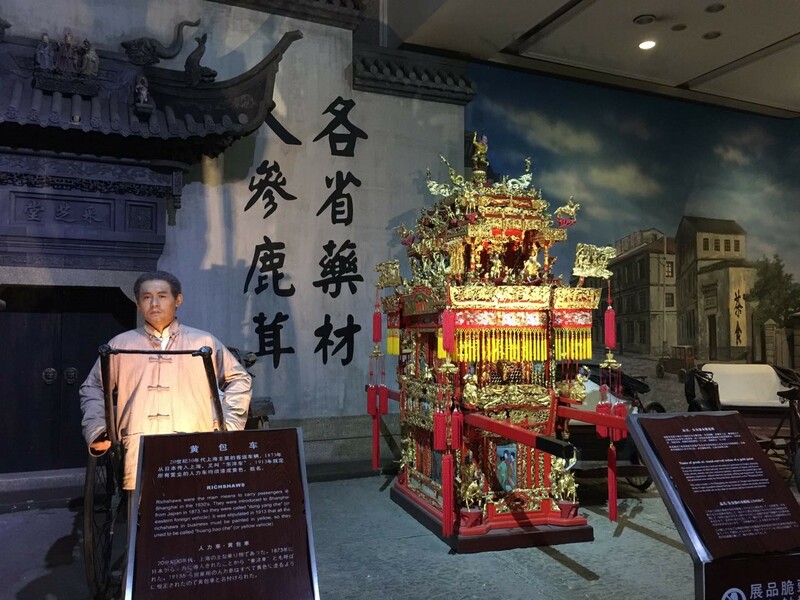 The history, especially of Cultural Revolution, is heavy, but the exhibition was great and complete, inspiring my reflection on the history itself and people’s reactions and attitudes toward 20th century Chinese and world history. I decided to attend this Crossroads course because of my interest in learning different languages and more about the Chinese and American education systems. Even though it sounds weird to study abroad in my hometown, it turns out to be a very exciting adventure and rewarding experience to explore the city I am most familiar with but still have a lot to learn about and reflect on. This entry was posted in Uncategorized on June 26, 2018 by serranvj. 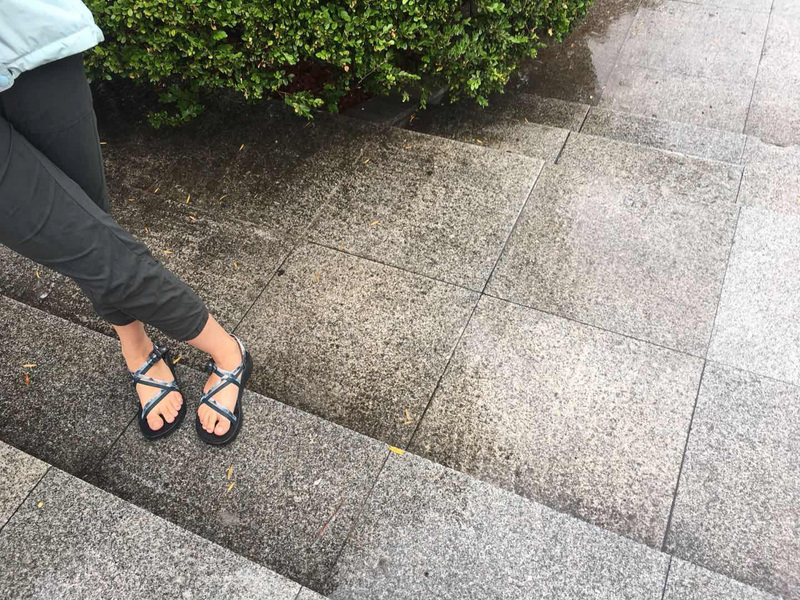 This is the eighth in a series of blog posts from Whitties studying on Whitman’s Crossroads: Shanghai, China: Second Language Acquisition in China and the USA program this summer with Professor Lydia McDermott. Emily Rigsby ’20 is a Music Major. Among many other things, I would just like to say that I feel very lucky to be here in Shanghai, China! No other time in my life have I had the opportunity to ride 12 hours in a plane and end up somewhere completely unrecognizable. For myself, as a first generation college student, I have felt really grateful to be able to spend the past three weeks learning and growing as a young adult! Previously, I have never traveled outside of the PNW, so traveling overseas is kind of a big deal for me and my family! The past month, I’ve learned how to be patient with myself and others, gained the confidence to try new things, and how to ground myself in scary situations. My time in Shanghai has been wonderfully memorable. This past Tuesday our class visited the Oriental Peal Tower! It’s one of Shanghai’s tallest buildings that touches the skyline! 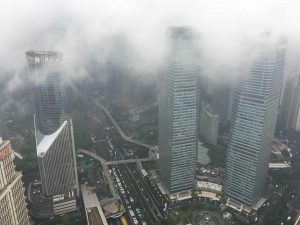 When we first stepped out at the top of the Oriental Pearl Tower, we were engulfed in thick storm clouds and jeweled raindrops. With thunder and lightning all around our heads, it was frightening to realize that I was hundreds of meters above the city and so close to being in and with a rain storm. Even though we had poor visibility, I felt very lucky to be in such a cool place. While looking out the glass, I was really wishing I could have shared the moment with my parents. When we are home in Boise we love to watch the summer rain storms with our blinds open and listen to the patter of droplets on the roof. Out of all my time in Shanghai, at this point I was missing home the most. This image was when the clouds had cleared some and we were able to see a bit of the busy city below. On Friday our class visited Shanghai’s M50 Art District. This entailed exploring many artists’ studios and meeting some very friendly artists! As a mediocre water color painter, I really enjoyed spending time exploring and seeing different styles, media, and color choice! One exhibit that really caught my attention was the Shanghai Pride Exhibit. 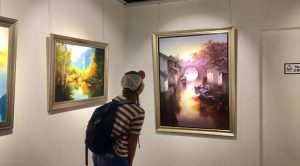 The gallery showcased the history of Shanghai’s LGBTQ community over the past 10 years and the development of Pride in Shanghai. I learned a lot from the exhibit and I was very excited to share what I learned with my other classmates! In addition to exploring the M50 Art District, I also was able to spend the afternoon with my new friend Laurinda! She’s lovely, so I thought I would share a photo of her enjoying her time at the art district! As I wrap up my time in Shanghai, It’s bittersweet to realize we leave next week back to the states. I’ve loved learning these past three weeks, but I’m also really excited to see my friends and family and be able to reflect upon my time in China with them. Until then, I’m excited for what tomorrow brings! Just feeling thankful! This entry was posted in Uncategorized on June 25, 2018 by serranvj. This is the seventh in a series of blog posts from Whitties studying on Whitman’s Crossroads: Shanghai, China: Second Language Acquisition in China and the USA program this summer with Professor Lydia McDermott. Kate Swisher ’20 is an English Major. The cat café, so cleverly titled “Meow Don’t Care,” was adorable. 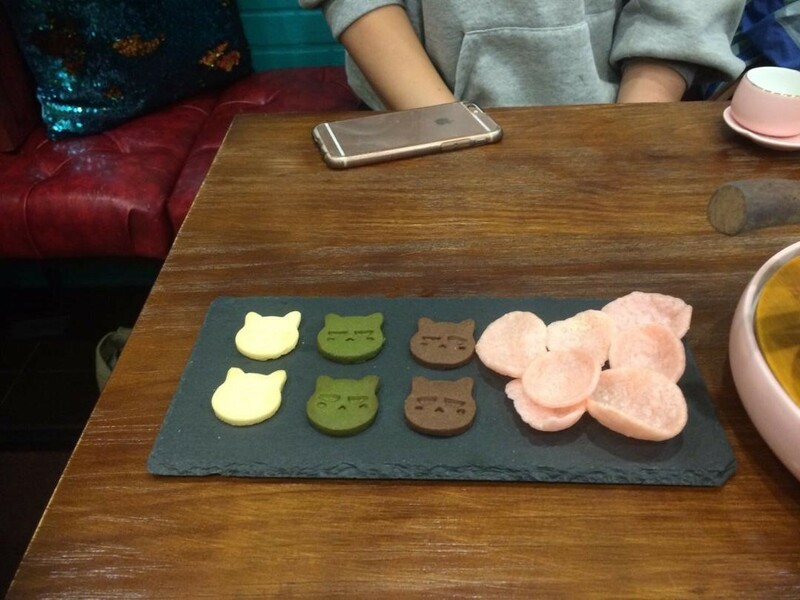 The woman working there wore pink high heels with puff balls, and served us cat themed desserts and tea! There were about eight dressed cats roaming around us as Lydia freaked out and pet each one. However, I couldn’t get my eyes off the sour-puss in the lemon dress! We sat next to each other and while I’m not a cat person, I loved this kitty. It looked tired, happy, out-of-place, uncomfortable, serene, and confused all at the same time! How was this possible? I nodded my head in agreement with the cat, though it said nothing to me. 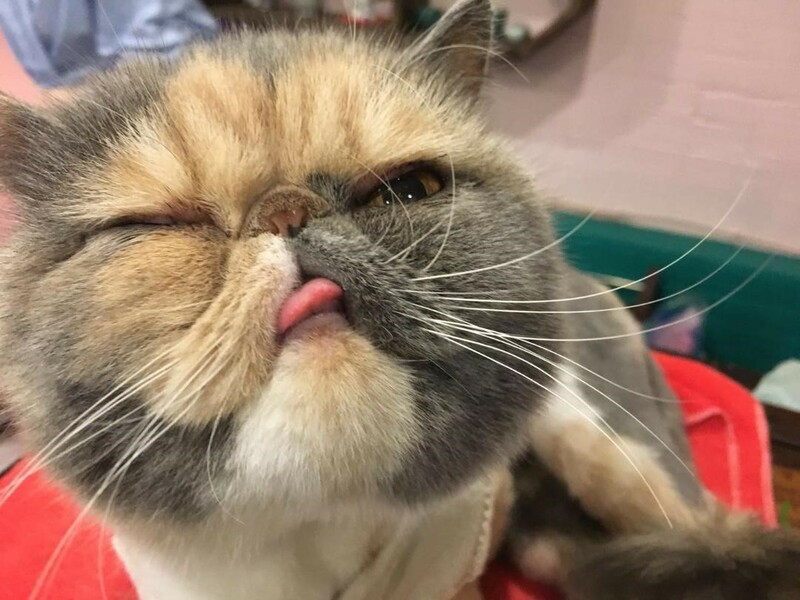 I wanted to know why I felt such a strong connection to this cat. To understand me at this point, you must hear about the plane ride over here. I never thought I would get to the third week of this trip with a smile on my face and gratitude in my heart. When I was flying over the Pacific Ocean in between time zones having a minor panic attack beside a Chinese woman giving me a strange, slightly frightened look, feelings of growth and joy did not seem possible. I kept telling myself that I’d feel better after I got off the plane, but alas, I puked twice on the bus to the hotel and there was only one plastic bag. Welcome to China! Fortunately, the first week went well. I learned an incredible amount about second language acquisition and, as you read in the other posts, had the amazing opportunity to teach kids in a local migrant school. I sang my heart out at a KTV bar, ate plenty of tasty dumplings, wandered through unfamiliar streets, and saw an EXTRAORDINARY acrobatic show! The second week was not as easy. Culture shock is real and sneaks up on you when you least expect it. There is a reason I chose to go to college in the middle of thousands of wheat fields. I’m not a city person. If you haven’t heard, Shanghai is the largest city in China! Whenever I try crossing the street, there is a whole crowd of moped drivers coming at full speed towards me. I’m also not that into shopping and Shanghai is known for its massive malls! Finally, I hate cigarette smoke with a passion, and don’t speak any Chinese. Well, you can’t go anywhere here without smelling cigarette smoke while someone asks you a question in Chinese! The entire second week I felt out of touch with reality and myself. I wandered around in bright, cheery outfits with a lost, slightly deranged look in my sleep-deprived eyes. 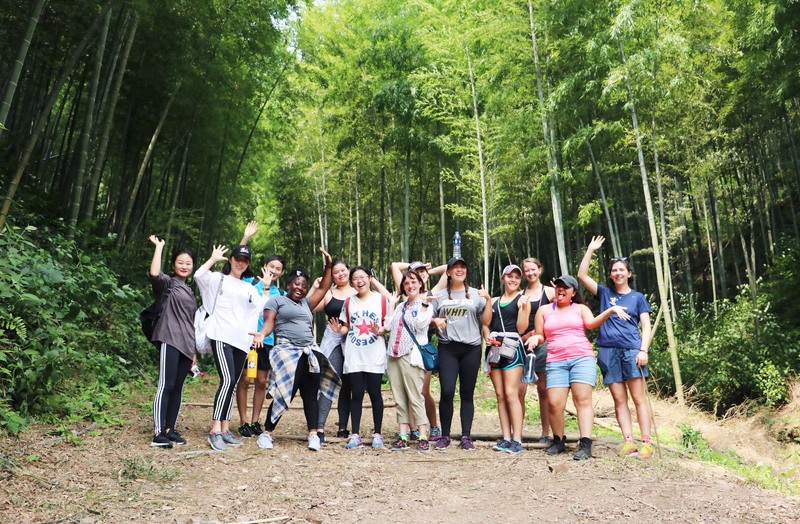 Though we were spending days doing my favorite activities including learning, teaching, exploring, hiking, and eating tasty Asian food, I was sad. I missed home and my sense of self and place. My overactive imagination did not make me feel better. I had rampant thoughts every minute like: What if our plane crashes on my way home? What if my passport gets lost? What if I get stuck on the metro and never see the light of day again? What if I choke on rice and DIE??? I thought I was going insane. 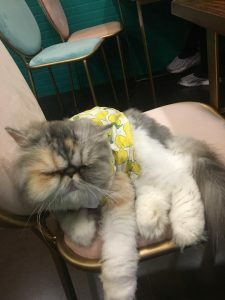 When I wandered into that cat café in the very beginning of the third week and saw lemon cat sitting in a chair, I felt like crying. The nice lady in pink served us tea as I realized the cat and I were feeling similar emotions. Lemon cat was around new people in a weird place, wearing a uniform that likely did not feel right. Yet, unlike me, lemon cat seemed to find peace and happiness regardless of its discomfort. It looked and walked around occasionally to take in the environment before returning to the chair beside me. After my visit to the cat café, I decided to take in the small joys of everyday life in Shanghai no matter how anxious and strange I felt. On Monday, I enjoyed learning how to wrap sticky rice in leaves for the Dragon Boat Festival, on Tuesday I took in the skyline of Shanghai from a tall TV tower, on Wednesday I walked around the city and talked with my incredible language buddy about education, on Thursday I tried Oolong and Jasmine tea at the tea market, on Friday Hannah and I explored the M50 art district and imagined a fantasy in which we could purchase eccentric modern art as a hobby, on Saturday I wrote my name in traditional Chinese characters, and today I confidently walked across the street without getting mad at a moped driver that refused to stop for pedestrians. Even though I’m still tired and feel out of touch with reality, I am having a lot of fun and even finding peace in this wild place. 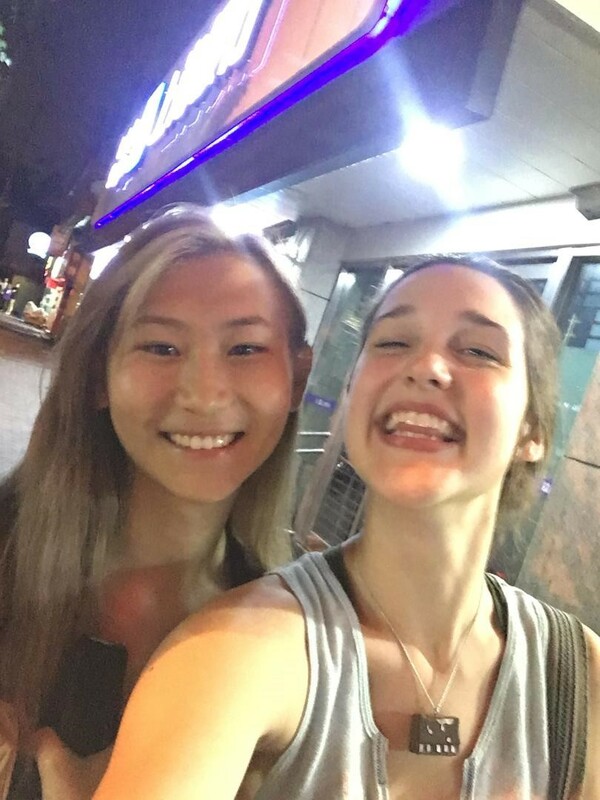 My language buddy and I on a night stroll! As I write this, I’m sitting at my new favorite restaurant called “Snoodles,” eating spicy noodles and wearing a bumblebee shirt I bought today in the mall (that reminded me of the lemon uniform on the cat), feeling tired, yet satisfied. There are new faces around me and the whole restaurant is covered in cartoon pandas that aren’t quite cute. I’m a little grumpy, but just as happy and oddly serene. Most of all, I have an overwhelming feeling of gratitude for getting to experience this journey to Shanghai. I never thought a fat cat wearing a dress embroidered with lemons would open my eyes to its beauty. Lauren Rhodes: How would YOU navigate your way through the Chinese School System? 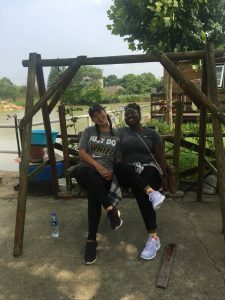 This is the sixth in a series of blog posts from Whitties studying on Whitman’s Crossroads: Shanghai, China: Second Language Acquisition in China and the USA program this summer with Professor Lydia McDermott. Lauren Rhodes ’21 is undecided. Every day here in China I learn about the competitiveness of the Chinese School System, and it’s teaching curriculum style through guest lecturers to field observations. 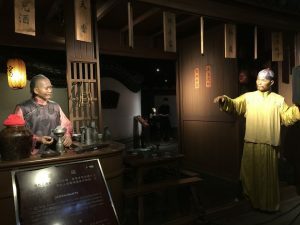 Unlike countries like the United States, China has a long history with its testing system starting way back during China’s feudal society known as the Keju system, the Imperial Examination. It dominated education; I learned from Dr. Gao our first guest lecturer. It began in the Sui Dynasty and had lasted more than 1,300 years until the last examination which held during the Qing Dynasty. I’m sure many of you know Confucius, regarded as one of the most amazing men in Chinese history. Confucius once said, “A good scholar can become an official,” and, “He who excels in learning can become an official.” Becoming an official offered you and your family a better life. With China’s long-standing history of examination type learning, it is no surprise that Deng Xiao Ping reinstated the Gao Kao which is the National College Entrance Exam. He regarded it as the reliable talent security for modernization, satisfying the appetite of citizens and the key to improving income levels. Understanding the history of China’s current school system is not enough to fully understand the situation but a start. Navigating your way through a Chinese School System today is very difficult, whether you’re a parent, a student, or a researcher. You’ll often hear individuals in education, along with parents say, “Don’t make your children lose at the starting point,” further fostering a competitive atmosphere for future generations. In the Chinese School System, only 9 years are compulsory for citizens (Elementary & Middle School). The cost of enrolling your child in a kindergarten public school is around $50 a month. 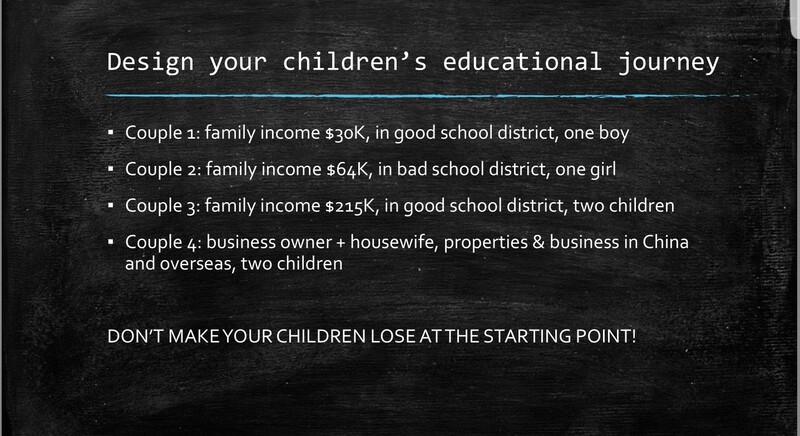 A private school would cost $600 a month, and international schools would cost $1,400 a month. Elementary public schools determined by the school district and your current housing location. An excellent private elementary school is hard to get into with only a 5% admissions rate and a heavy workload compared to public schools, which parents see as better preparation for their children. While international schools from middle to high school can cost $45,000 a year and require English. Middle public schools lead to little chances of attending an excellent high school. Once again a private middle school is expensive and entails heavier workloads. Now off to high school, only the top 10 prepare students for the Gao Kao and require students to get a high score on their Zhong Kao which is the middle to high school examination. Private schools offer general exam preparations such as SAT to ACT, but it is highly competitive to get into and require English. I learned from my third guest lecturer, Dr. Zhang. With China’s massive population a typical Primary School class size can be 38 to one teacher, while Junior Secondary School (Middle School in China) can be 47 to one teacher. With such large class sizes, a systematic teaching style is easy to operate. Chinese Classroom disciplinary fosters very efficient learning. Although this may be efficient for such a large class size, it fosters a teacher to teach for tests and memory-based learning. 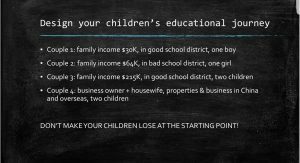 Remember the saying, “Don’t make your children lose at the starting point,” incentives parents to enroll children at a very young age compared to American children and pressures their children into focusing only on education that children often don’t do house chores. You’ll see parents even buy their children exams to homework when a parent sees a teacher not giving enough. My second week in China on a Wednesday I got to meet with a Language Buddy whom I’ll refer to as Mockingbird, favorite Marvel Superhero. All my previous knowledge about the Chinese School System came from the articles I’ve read, along with guest lecturer teachings. Although I may have taught at a Migrant School it still wasn’t clear enough to me why the Chinese Educational world was so competitive and what effects did it have on those that underwent such a system. 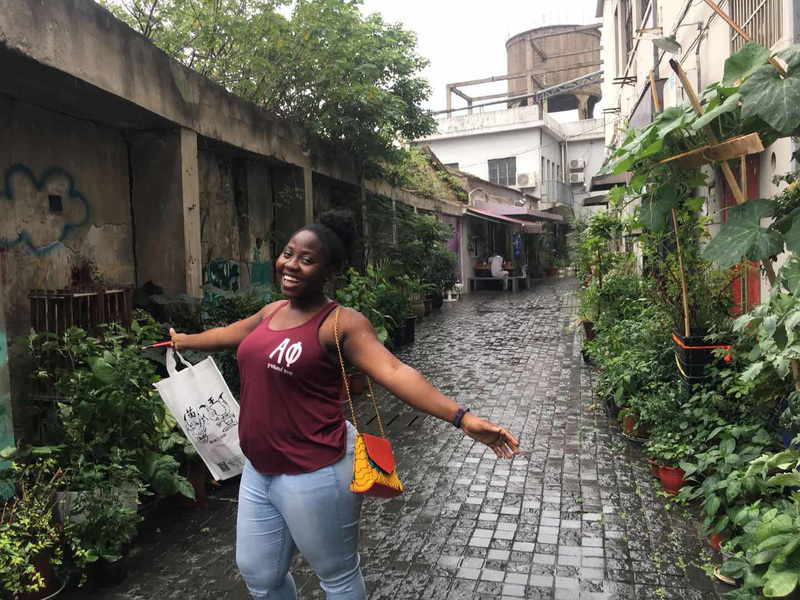 Mockingbird is one of many graduate students learning about education many of whom were born and raised in China and has currently never left the country. Mockingbird was curious about the education system in America, asking questions like, “Is it true in America students don’t have to attend classes in college?”, “How do you have time to participate in extracurricular activities?”, “I heard that American curriculum is easier than Chinese, what is it like?”. Now, I’ve only attended public school in America for 5 years, and with the limited knowledge I had, she seemed to stare at me in awe. 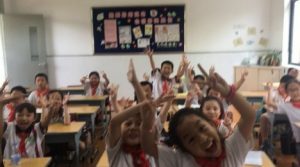 I was curious if students enjoyed learning in China, so I asked, “What was your favorite subject growing up as a child?”. She replied, “I didn’t have one. A school was just school, something that I had to do”. Finally, realizing just how fortunate I was that something simple as liking a subject was a privilege. I then asked, “If you’re not fond of a particular subject, how did you know what you wanted to study for college?”. Mockingbird replied, “that’s easy people study majors whether they like it or not based on the job demand of the country and whether or not it pays good money.” We further conversed, and I grew to learn that everything from large class sizes, memory-based learning, parent pressure, the buying of homework to exams were all true and very much in practice despite China’s effort to adopt more western-style teaching. It was shocking to even learn according to Mockingbird parent, the more homework you do, the fewer chances you get at being hurt if you were to be playing outside so in turn somehow homework and exams foster safety for individuals. How would YOU design your children’s educational journey? This entry was posted in Uncategorized on June 20, 2018 by serranvj. 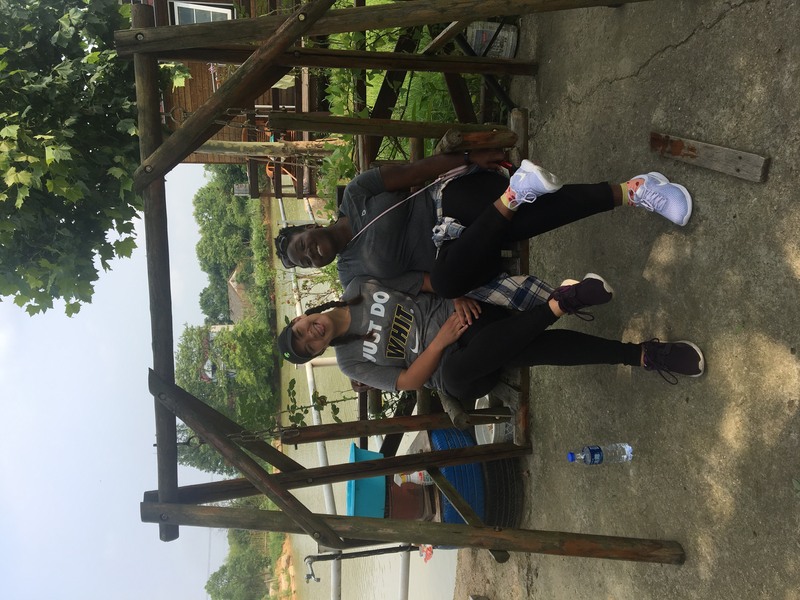 This is the fifth in a series of blog posts from Whitties studying on Whitman’s Crossroads: Shanghai, China: Second Language Acquisition in China and the USA program this summer with Professor Lydia McDermott. Mariah Ng ’19 is a Psychology major. Today is my 27th day in China (!!!) I have experienced so much at this point, but also just not enough. 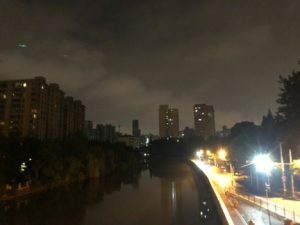 I’ll admit at the beginning I was not necessarily looking forward to the rest of the month (mainly due to the language barrier and busy lifestyle of Shanghai), but the longer I get to know the city’s unique character the more comfortable I feel here. In this past week alone, I have travelled to a different province, eaten pigs brain, taught four classes of English to elementary school students (or as they call it here, “Primary School”), and travelled through most of Shanghai by metro. 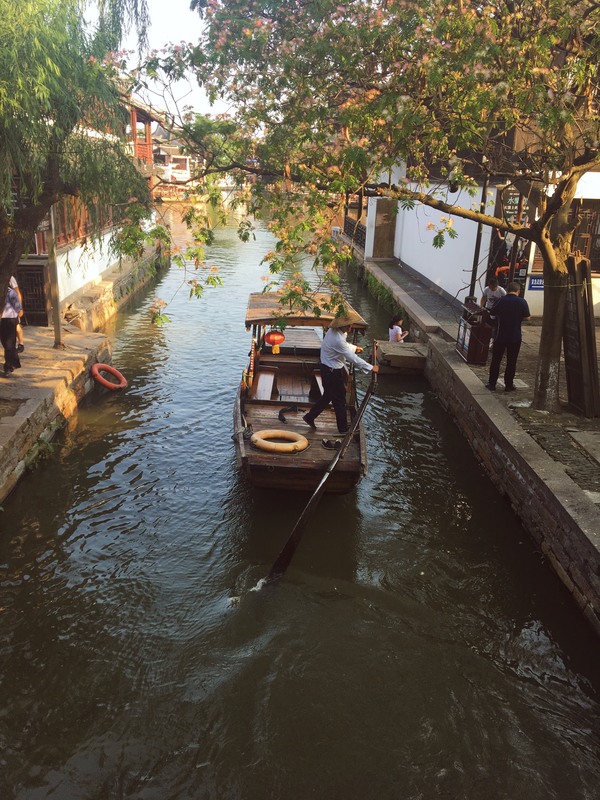 Anhui, a more rural province about 3.5 hours West of Shanghai, was absolutely gorgeous. 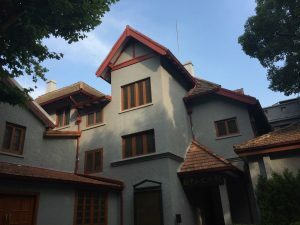 The boarding school we visited was welcoming and seemed much different than the typical Shanghai schools that we have been reading about. 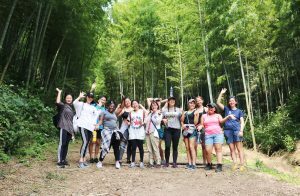 The vice principal, a multi-talented and sweet woman named Apple, took time out of her weekend to take us on a hike up into a bamboo forest. It was so serene. The dirt incline was surrounded by tan and green bamboo trees that enclosed us from the sky. This scenery combined with the cool morning humidity reminded me so much of home. 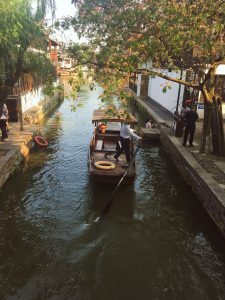 I have two favorite places in China so far ~ one is in the bamboo forest mentioned above and the other is a quaint town on the outskirts of Shanghai called Zhujiajiao. At the second-to-last stop on line 17 going toward a lace called “Oriental Land” (we were intrigued but didn’t end up going), you will find yourself in a place surrounded by water in almost every direction you look. 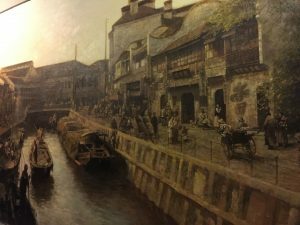 Between each 100+ year old bridge was a plethora of tiny shops that were shoved into alleyways that could barely fit two single-file lines of people. Here we found trinkets, antiques, clothing, temples and LOTS of food. As my last week dawns, I find myself pushing through the groggy afternoons to go to a different metro stop or try a new place for happy hour/dinner just to absorb as much of China as I can. Though it’s not likely I will miss the claustrophobia while walking down a street or the paparazzi we get as foreigners, I will miss teaching and the very kind people that I have met along this short journey. This is the forth in a series of blog posts from Whitties studying on Whitman’s Crossroads: Shanghai, China: Second Language Acquisition in China and the USA program this summer with Professor Lydia McDermott. Laurinda Nyarko ’19 is a Chemistry Major. 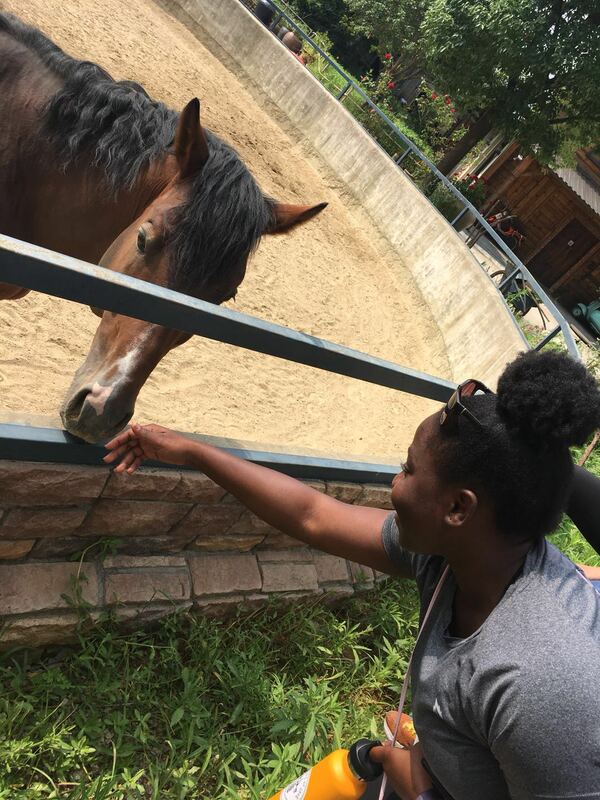 A satisfied me petting a cute horse at a ranch at Anhui. The journey to petting this cute horse has not been an easy one J. As cliché as it may sound, our first week here was indeed a roller coaster of emotions as we tried to find food on our own, endured the numerous stares from people as we walked through town and wobbled through large crowds on the streets to get to class or to get on the metro. 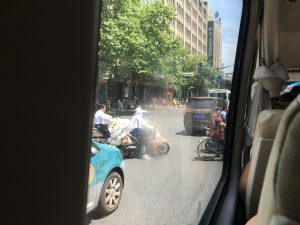 Whether it was getting on the train real fast to grab a seat or walking with confidence to cross the street and ignoring the Moped drivers who seem to disobey every traffic rule, I like to believe we are learning to survive the Shanghainese way. The most challenging part of being in this city is the language barrier which I cannot say is getting better, but I definitely keep trying to practice whenever I have the opportunity to. Me: “Nihao! Wo yao bing shui.”- I want ice water. This is how successful I usually am in carrying out a conversation to ask for or buy something in Mandarin. This inability to communicate in Mandarin proved to be even more challenging in our classrooms. 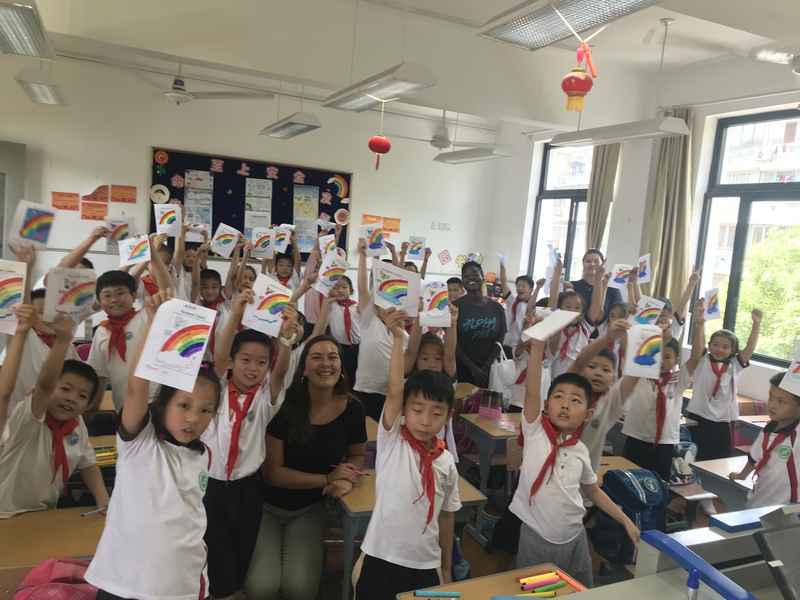 As part of our program, we’ve taught four English lessons each in groups of three at a migrant Elementary school in Shanghai and a boarding school in a poorer province, Anhui, which was about a four-hour drive from Shanghai. Migrant schools are something that I only heard of in this city and the need for them is something I find very interesting. One of our teaching activities at the migrant school was a rainbow coloring activity after we had taught them the colors. It was such a fun activity because we got to walk around the class and interact with the kids one-on-one while they worked, and they also got to apply their knowledge of the colors in a fun way. During this activity on our first day of teaching, a girl who had not spoken during the whole lesson raised her hand to ask me something. As I bent over her desk, she started to speak to me in Mandarin. Once again, with elaborate hand gestures, I tried to explain to her that I could not understand her. She kept repeating what she was saying and I kept gesturing that I did not understand. After about a minute, she sighed and turned back to her work and I walked away quietly and completely frustrated with myself for my inability to help her with whatever it was she needed because we did not share the same language. Had I understood what she was saying, I could have helped her put that in English and she would have learned something new. I could only think of all the things I could have learned from them and all that they could have asked and learned about if we understood each other better. Although there were other moments like that, that was not the entirety of our teaching experience. There were so many other things that I loved and valued about the time we spent teaching these kids English and would do it again. Their enthusiasm and willingness to engage with us, even if it was just to say “Hello” or “Bye-bye” or “See you” always made me look forward to the next lesson. Their determination to seize the opportunity to practice their English whenever, made me want to practice my Mandarin whenever I could. When we arrived at the elementary school at Anhui, our walk from the front gates to the dining hall was filled with little voices saying hello and little hands waving from different places. They did not know us, and we did not know them but their genuine excitement to see us was a moment I will forever cherish. Whenever I waved and said hello back, they responded with wide smiles that always made me smile too. Mariah, Lauren and I with the second graders at the migrant school who are proudly showing off their colored rainbows. I haven’t succeeded in having a full conversation in Mandarin yet, and I would never know what that little girl tried to tell me in the class that day but I am grateful for the opportunity I’ve had to come to appreciate a culture and a people that are very different from mine. As my language exchange friend said (re-phrased), we become better versions of ourselves by gaining a better understanding of the world around us through experiencing and engaging in different cultures. I couldn’t agree more. Hannah Filley: I’m going to China, I’m going to China, I’m here! 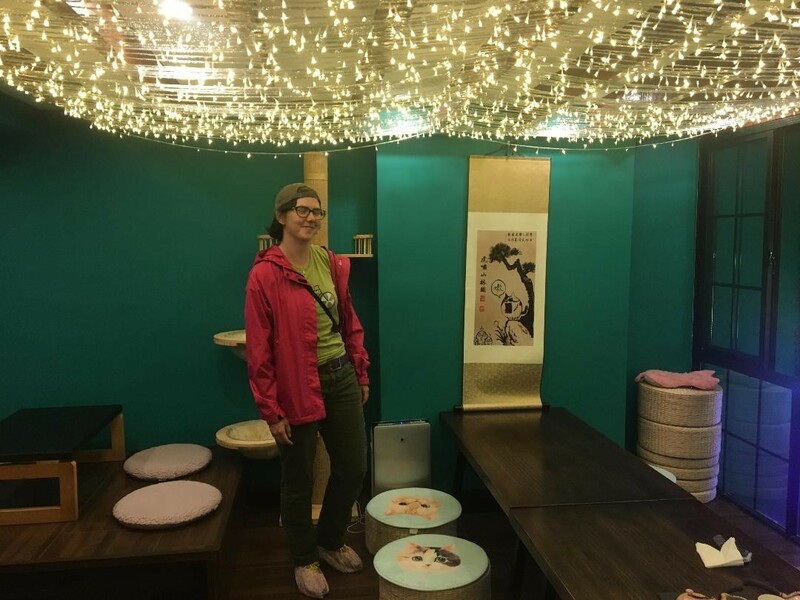 This is the third in a series of blog posts from Whitties studying on Whitman’s Crossroads: Shanghai, China: Second Language Acquisition in China and the USA program this summer with Professor Lydia McDermott. Hannah Filley ’19 is an English major. All I could think the whole time was I’m going to China. I’m going to CHINA. And eventually: I’m in CHINA. CHINA!—in attempt to believe that my pretty impulsive choice to participate in a month-long study abroad course in Shanghai was coming to fruition. As you can likely gather from my nervous anticipation, my experiences traveling had yet to compare to something as new as this. My discomfort, though, was exactly what I had set out to achieve when I applied to participate. 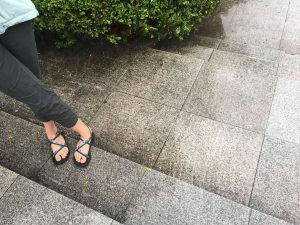 I was here for the same reasons most students study abroad: to push the boundaries of my comfortability, increase my global awareness, take advantage of the opportunities Whitman creates for students that aren’t quite so easy to come across in the “real world”, yadayadayada. It feels silly to even attempt putting this experience into words. After all, I’ve only been in Shanghai for a week. Yet, somehow, maybe because of the constant noise and busy nature of our days here, I feel like I’ve been here much longer. I know that gushing about how much this past week has made me fall in love with home anew and appreciate—to some degree—how deeply isolating it feels to be submerged in a sometimes unrecognizable culture with no language skills is all, without a doubt, overly self-congratulatory. But, I also feel pretty cool for diving in. After stumbling through a few simple games with these second graders, I soon realized I had definitely overestimated myself and vastly underestimated the group of brilliant kiddos. Their English vocabularies loomed far beyond what my two co-teachers and I had anticipated. We had to think on our feet to make things more challenging, all while struggling to maintain control of a classroom in which we did not speak the dominant language. I don’t know if I taught them very much English during the hour I had with them, but I was excited to take what they had taught me to the next classroom I would teach the following week. The best part? When we said goodbye to the room full of students, one ran up to the front of the classroom, handed each of us a bright colored piece of paper, and said “thank you teacher”. One by one the rest of the students looked at each other and, in varying levels of hurried excitement, fumbled through their desks searching for colored papers of their own to do the same. We each left the building with a hefty stack of colorful “gifts”, smiling ear to ear. Seeing first-hand the kinds of enthusiasm and respect students have for teachers, and learning for that matter, in a culture where teachers are generally valued and celebrated far more than what I’m accustomed to was a gift in and of itself. This entry was posted in Uncategorized on June 15, 2018 by serranvj. 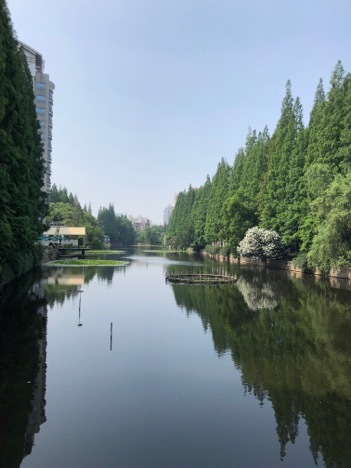 This is the second in a series of blog posts from Whitties studying on Whitman’s Crossroads: Shanghai, China: Second Language Acquisition in China and the USA program this summer with Professor Lydia McDermott. Madi Crowley ’20 is a Computer Science and Spanish Major. There were a lot of things that I found somewhat jarring about Shanghai when I first arrived here. First, I’ve lost all ability to sense intonation in the conversations around me. The language is comprised of four tones that, to me, make each sentence sound like a jumble of angry exclamations and questions. It may seem like a simple shift compared to the biggest one, losing the ability to tell what people are actually saying, but it has made a big difference in my ability to understand my environment. Although I can see some emotion in strangers’ faces, the tones obscure the reflection of that emotion in their voices. Walking down any street, the conversations of other people are usually completely lost on me. There is also, of course, the insane phenomenon that is traffic in Shanghai. The nonverbal cues that govern the toad are unknown to me. It seems impossible to tell if a honk or the act of invading personal space indicates “Get out of my way!”, “I’m here!”, something else, or nothing at all. In the few days that I have been here, it has definitely been difficult to avoid being closed off to many new experiences at once, especially with a full schedule. 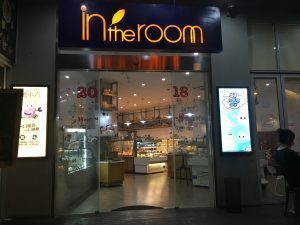 As strange as it sounds, listening to the banter of the people working in the bakery and coffee shop next door to our hotel is comforting and encouraging. These conversations are different from the conversations I hear on the street. Given context, I know that they’re discussing tasks around the shop, telling each other what was ordered, and joking about people that come in during the day. Watching one waitress, I see the familiar look of boredom and longing for freedom from the long day of monotonous work ahead. As our group of ten, only one of whom speaks fluently, has begun routinely inhabiting the shop, there seems to be a growing mutual understanding. The same waiters and waitresses usually take my order (AKA read to what I point to on the menu), and now pull the menu closer and smile when I walk up. Amidst the big and small differences that sometimes make the city seem like an altered reality, it is comforting to have similar situational experiences and be reminded that different elements and cues of cultures don’t change the fundamentals of the human condition. Even if methods of verbal and nonverbal communication are slightly different from those I know (or I just don’t fully understand them yet), it is important to remind myself that making an effort to reach out and get involved goes a long way. 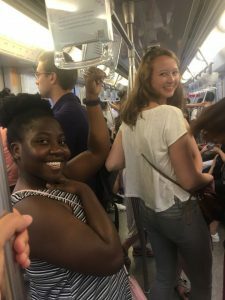 This is the first in a series of blog posts from Whitties studying on Whitman’s Crossroads: Shanghai, China: Second Language Acquisition in China and the USA program this summer with Professor Lydia McDermott. Stacey Amezquita ’19 is a Politics & Psychology major. 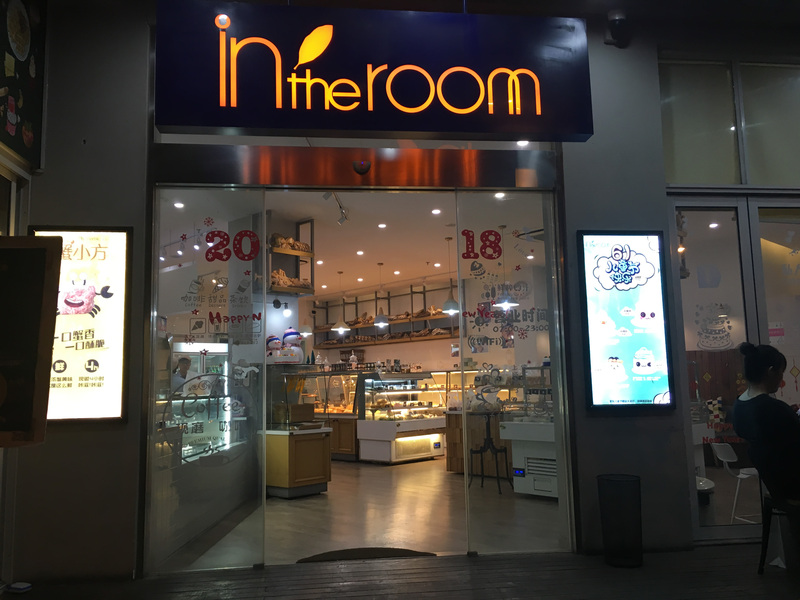 I’d like to think that the realities of being a tourist in a foreign country don’t really settle in until you’re trying to find food on your own. A few days ago, our group had the opportunity to get dinner anywhere we wanted. Kate, Hannah, and I decided to go to Global Harbor Mall because it’s so close to our hotel and we thought it would be easy enough to find a food court there. Oh, how wrong we were! For starters, we walked ten minutes in the opposite direction of the mall. We laughed it off and made our way down the correct path. Once in the mall, we were overwhelmed by its looming size. We realized soon enough that it wouldn’t be as easy as we thought to find a place to eat. Most of the restaurants we passed were quite pricey and we weren’t willing to part with a lot of money so early on in our trip. The mall started to feel more and more like an endless maze as our hunger grew. Eventually, we ran into Emily and felt a boost of confidence in our skills to navigate now that we were a group of four. 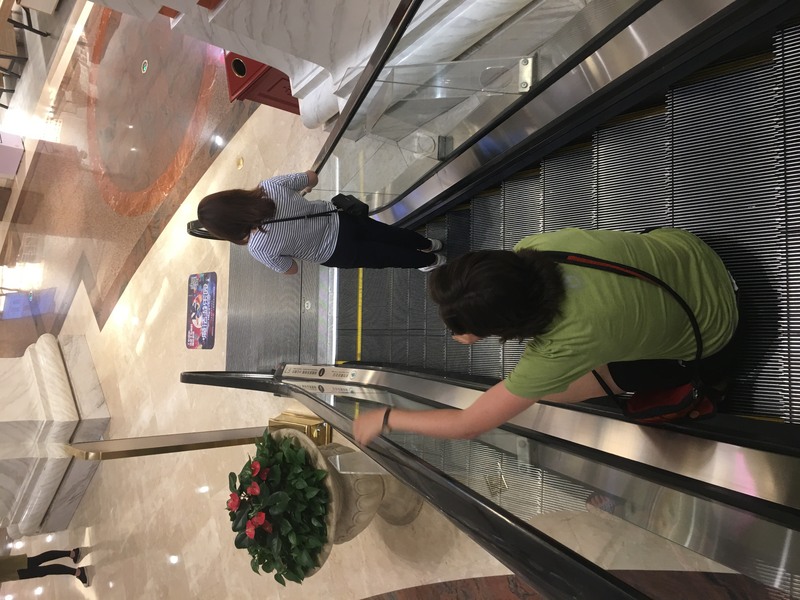 Unfortunately, we still managed to wander aimlessly up and down elevators and escalators. 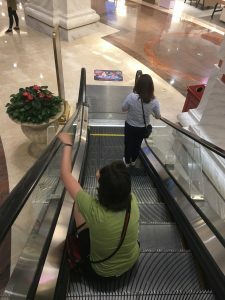 Emily embodying how tired we all were, by taking a seat on the escalator. But! A ray of hope: She was smart enough to bring a phrase book given to us by the CIEE staff! 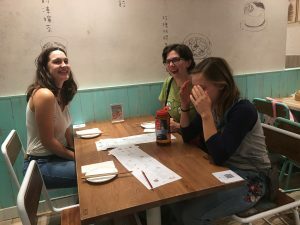 We tried stringing together a variety of words and phrases to ask for “a cheaply priced restaurant” somewhere in the mall. We found a friendly hostess and tried asking our question but she simply looked at us in confusion. Clearly, we weren’t speaking Mandarin at all. We were so sure that this would work! A nice couple saw us struggling with the hostess and tried helping us out (they spoke English! We were saved!). They were nice enough to point us in the direction of a nearby street with food. They even wrote the order for us to minimize complications once we found a place to eat. It was heartwarming to see such kindness and patience when we were all feeling exasperated and lost. The wonderful couple who lent us a helping hand by giving us directions and writing down our order. They gave permission to have the photo posted. Before we made it out of the mall we found a cute restaurant that we decided would suit us just fine. We didn’t use the couple’s instructions in the end, but we were so happy with the choice we made. We ate a satisfying, much-needed meal — and agreed that we had been through quite a hilarious ordeal. An example of the cute food found at the restaurant we settled on. As frustrating as this experience was, it’s been one of my favorite moments from the trip. I’m proud of how much my group is able to take obstacles in grace. Our willingness to laugh at ourselves makes our time here much more enjoyable when it would be just as easy to be upset at the challenges we face. All in all, I loved that night in the mall but I’d prefer not to do it again! The triumph and utter relief we felt is pictured here as we finally found a place to eat.